The Manual Tablet Compression Machine, Model MTCM-I, is designed for compaction of powders into tablets one at a time. The Manual Tablet Compression Machine can also be used for compression of unit-dose powder samples obtained with GlobePharma’s Unit-dose Powder Samplers into tablets for submission to the analytical lab. Double layer tablets as well as a tablet within a tablet can be made, one at a time, using this machine. 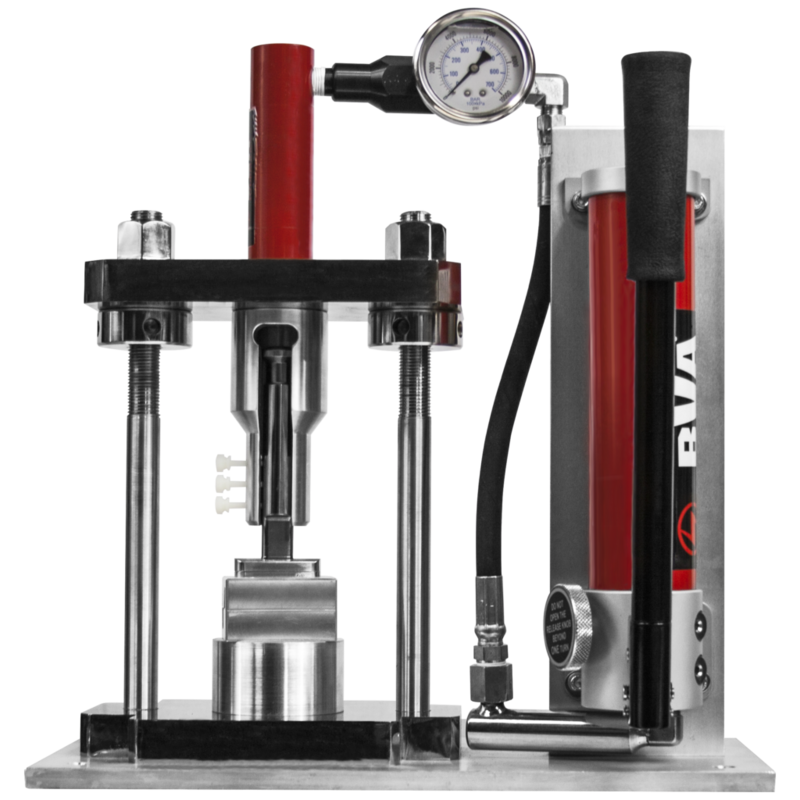 Compression is accomplished by means of hydraulic pressure applied with a manual hydraulic pump. One pressure gauge with 3000 lb., 5000 lb. or 10,000 lb. capacity is provided with the machine. The gauge is calibrated against a NIST certified load cell and the calibration curve is provided with the machine. Accommodates standard “B”, “D”, and “DS” size tablet tooling without requiring any modifications or special tooling. Round-shaped as well as special-shaped tooling may be used. One set of punch holders (B, D or DS) is supplied with the machine. Additional punch holders and punches and dies are optional. The interchangeable aluminum punch holders help keep the tooling properly aligned during compression.